Cardiac rehabilitation at LifeBridge Health is designed to help improve cardiovascular well-being for those whose doctors have recommended a medically supervised program of cardiovascular care. The program most commonly aids in recovery after a heart attack, angioplasty and/or stenting, and open-heart surgery. It is also beneficial for patients who experience stable chest pain and heart failure. The program is designed to educate you and your family about your particular heart problem, and help you make lifestyle changes necessary for a more satisfying and fulfilling life. The rehabilitation process begins during hospitalization and continues throughout your lifetime. Phase I is for patients receiving care at the LifeBridge Health Cardiovascular Institute (CVI) and begins with education from the nursing team. 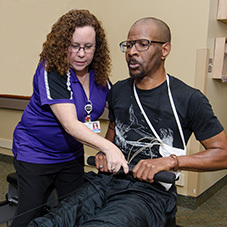 Surgical patients are visited by an exercise physiologist during the immediate recovery phase prior to discharge to begin ambulation and education. The CVI team provides education to the patient and their family regarding cardiovascular disease and its recovery process, gives personal encouragement, and explains discharge planning with an emphasis on how to modify risk factors and make lifestyle changes. Referral to Phase II of the Cardiac Rehabilitation Program at Northwest Hospital is automatically provided to ensure a seamless transition into outpatient Cardiac Rehabilitation. 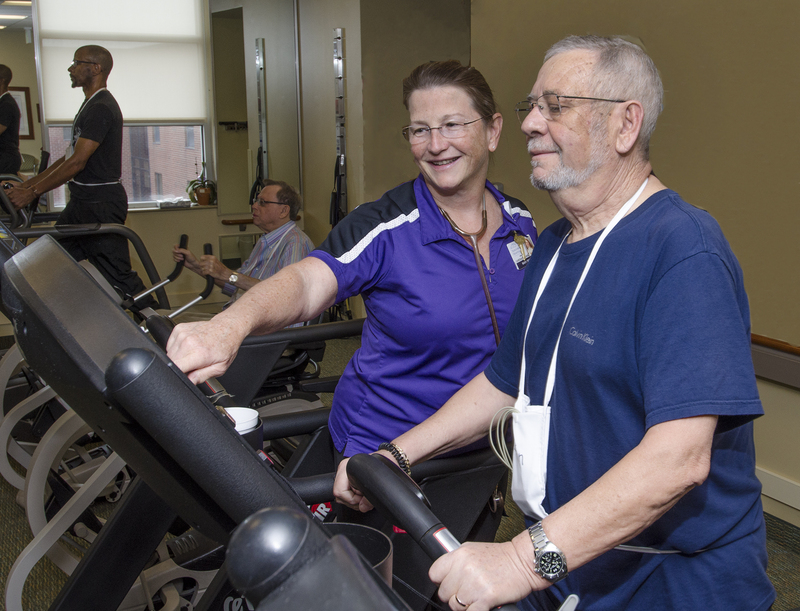 The second phase of cardiac rehab is a 12-week, medically supervised and telemetry-monitored exercise program located at Northwest Hospital. Phase II cardiac rehab is designed to help with lifestyle changes and risk factor reduction. In addition to exercise, the program includes diet and nutrition counseling, stress management and smoking cessation education. The program uses a multidisciplinary approach with team members who include a board-certified cardiologist, a cardiac rehab nurse, an R.N. program manager and specially trained fitness staff. The LifeBridge Health Cardiac Rehabilitation outpatient program at Northwest Hospital accepts referrals from physicians and other health care professionals. Prior to outpatient enrollment, patients should check their individual health insurance coverage, as some insurance companies may require pre-authorization. New patient orientation sessions are scheduled for 11 a.m. and 2 p.m. on Monday, Wednesday and Friday. To schedule a new patient appointment, call 410-701-4333. In this WBAL-AM “Know Your Health” radio clip, Lisa Gerberg discusses how cardiac rehabilitation gives participants practical tips to live healthy, fulfilled lives after a heart crisis disrupts their families.